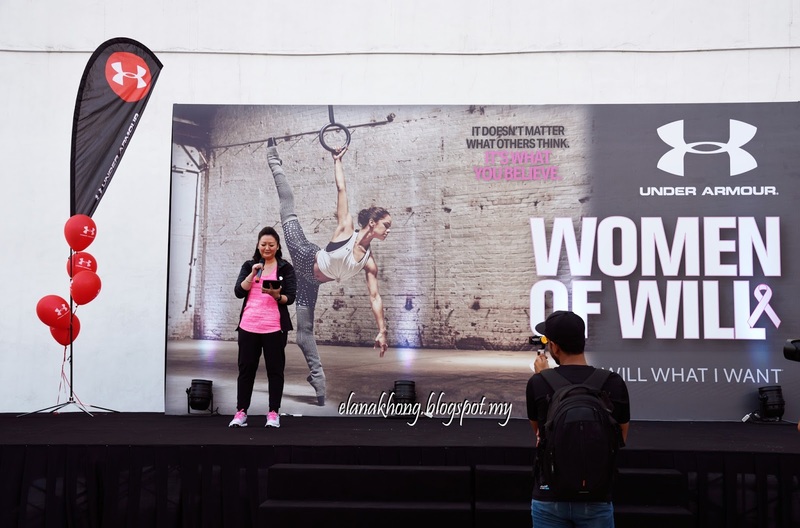 In conjunction with the Breast Cancer Awareness month, Under Armour inspires women to be fitter and healthier with the launch of Women of Will Campaign. 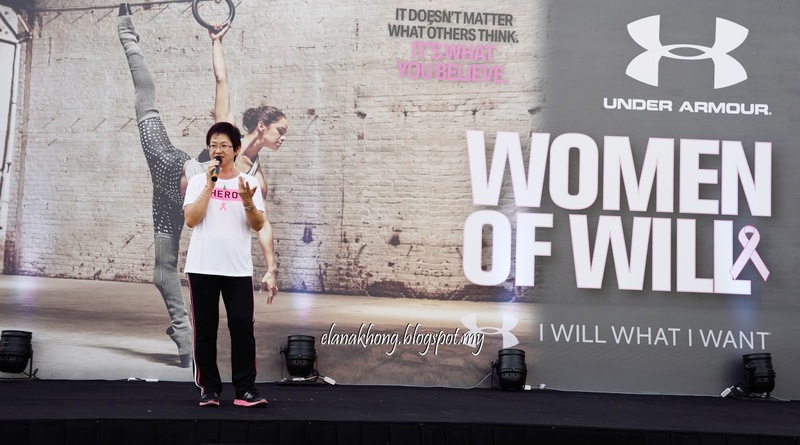 The campaign was held last weekend on the rooftop of Avenue K to celebrate the Pink Ribbon cause. We are honoured to have Puan Nori Tun Abdullah to launch the campaign. Also present at the launch event were Under Armour Brand Athletes, fitness model Kit Mah, local personalities Nadia Heng & yoga doyen Atilia Haron. Breast cancer survivors sharing their stories. Yoga session led by Atilia Haron. The renowned songstress and certified yoga instructor took us through a gentle but strength enhancing routine. Luckily I have some basic yoga skills and able to adapt to the variation of yoga poses. The heartthrob of Under Armour family, Kit Mah. Do you know he used to be bullied and teased for being a skinny teenager in school? Ever since he ventured into fitness, his life is transformed around. Bravo! 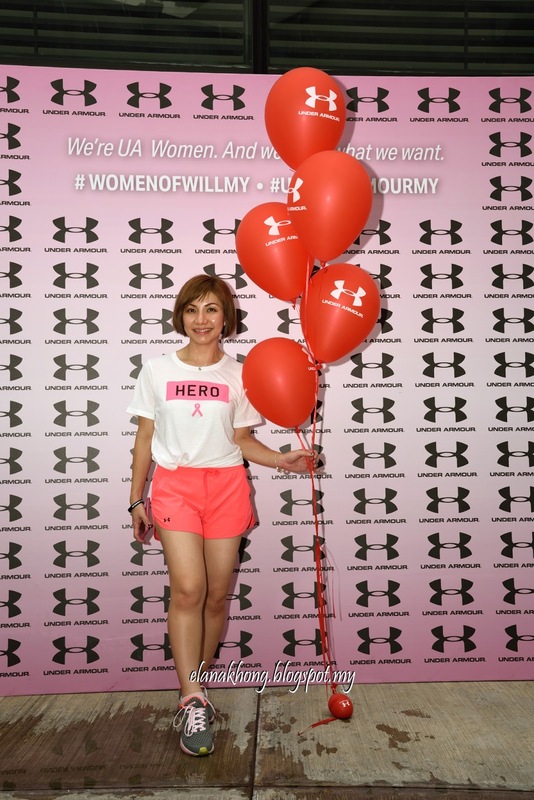 Under Armour also pledged to donate 10% of all proceeds from its Power in Pink range for the entire month of October to its charity partner, the Breast Cancer Welfare Association(BCWA). In addition to proceeds benefiting BCWA, donation boxes are also set up by Under Armour at all Brand Houses to be used at the discretion of patrons.